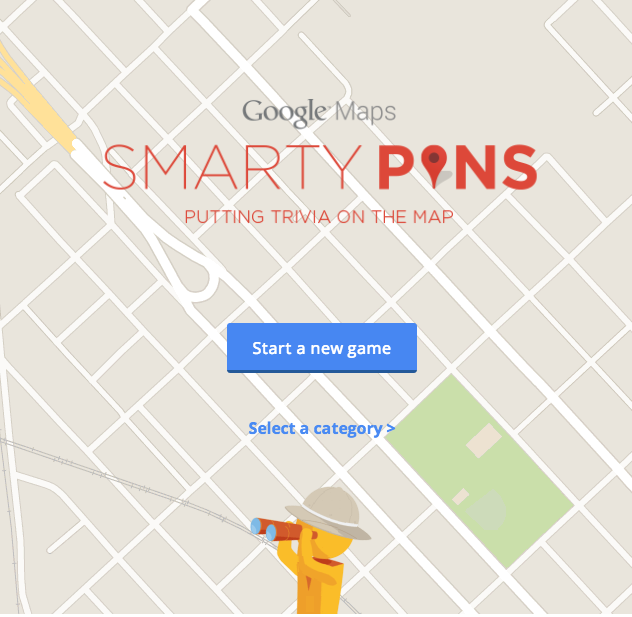 The increasing essentialness that is Google Maps is fairly well known by now, so it’s no surprise that as parents, we’re loving their latest project — a geography trivia game called SmartyPins that will take you around the world. Each game starts you off with 1000 miles in the bank. Answer a trivia question by dropping a pin on the right city. If you get it wrong, SmartyPins calculates how far off you are, and subtracts the distance from the miles you’ve banked. But if you get it right, you move on to the next question with all your miles intact. And if you move quickly, you can earn earn up to 15 bonus miles. Sometimes it’s worth zooming in to get the exact location right (like Ellis Island , which I missed by 2 miles), and sometimes the correct answer isn’t quite so specific. 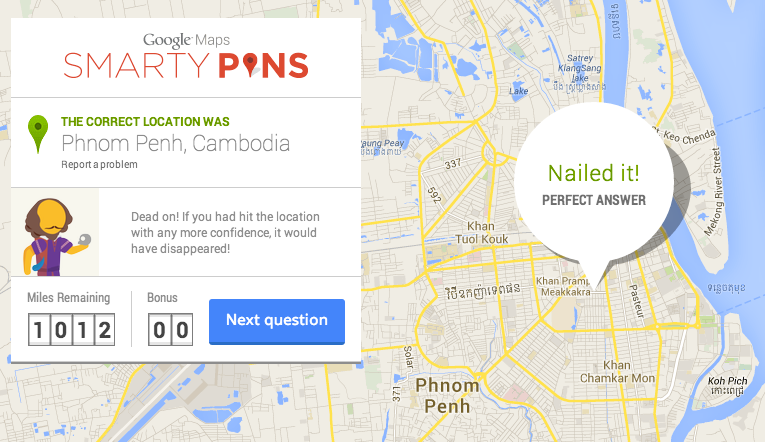 Other questions are easy to answer, but the exact location is tough to pin down on a map. For example, I knew the recent Winter Olympics were in Sochi, but uh, I wasn’t quite sure where in Russia Sochi is located. But hey, I do now. Which is the point. Plus if you love maps like I do, it’s so cool to see the details of places like London, Moscow, and Phnom Penh, and I imagine your kids will too. Keep going until you run out of miles, and then brag about your score via Twitter, Facebook, or of course, Google+. Especially if you can beat my high score of 18. Boom.